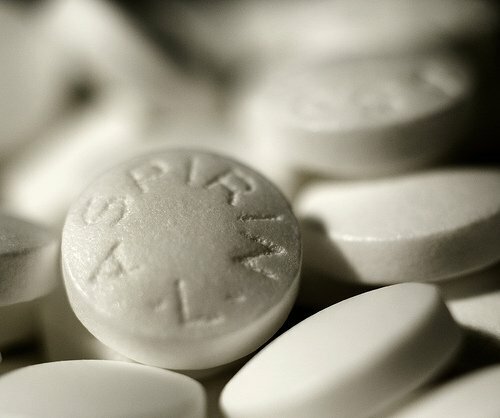 New evidence suggests that taking a low dose of aspirin every day can prevent and possibly even treat cancer, as the drug appeared not only to reduce the risk of developing many different cancers in the first place, but may also stop cancers spreading around the body. Prof. Peter Rothwell, from Oxford University, and colleagues, who carried out the latest work, had already linked aspirin with a lower risk of certain cancers, particularly bowel cancer. But when Prof. Peter Rothwell’s team examined how many of the participants developed and died from cancer, they found this was also related to aspirin use. Taking a low (75-300 mg) daily dose of the drug appeared to cut the total number of cancer cases by about a quarter after only three years – there were nine cancer cases per 1,000 each year in the aspirin-taking group, compared with 12 per 1,000 for those taking dummy pills. Low-dose aspirin also appeared to reduce the likelihood that cancers, particularly bowel, would spread (metastasis) to other parts of the body, and by as much as half in some instances. Critics point out that some of the doses given in the study were much higher than the 75 mg dose typically given in the UK. Also, some very large US studies looking at aspirin use were not included in the analysis. The researchers acknowledge both of these points in their published papers. Prof. Peter Rothwell says for most fit and healthy people, the most important things they can do to reduce their lifetime cancer risk is to give up smoking, take exercise and have a healthy diet. After that aspirin does seem to reduce the risk further – only by a small amount if there is no risk factor, but if there is a family history for something like colorectal cancer, it tips the balance in favor of aspirin, Prof. Peter Rothwell said.